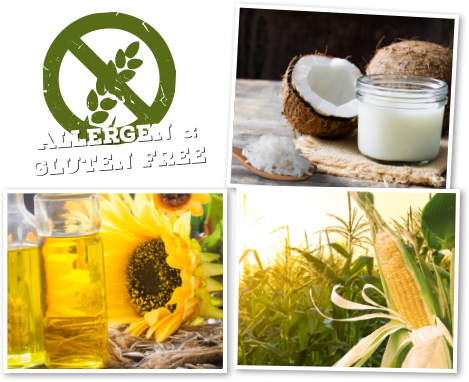 Almost all of the delicious products prepared in our kitchen are 100% free of gluten, allergens, modified starches, GMO and yeasts. Our chefs have succeeded in creating the most beautiful bindings by combining different gluten-free varieties of starch. This creates tasty, incredibly and light sauces. We make them creamy with rice- and coconut milk, and is cooked only with sunflower oil. The extra tasty herbal seasonings in our dishes are carefully formulated so that they are free from allergens and les salt is needed.